Governor Nyesom Wike of Rivers State on Tuesday called on the federal government to treat all geopolitical zones in Nigeria equally with reference to recent release of $1 billion to tackle the Boko Haram insurgency in the North-east. This was as Governor of Bayelsa State, Henry Seriake Dickson, requested the federal government to exclude the 13 per cent derivation funds accruable to oil producing states from the $1billion to be deducted from the Excess Crude Account (ECA) for national security. Addressing visiting House of Representatives Committee members on Local Content in Port Harcourt, Rivers State yesterday, the governor restated his call for the release of funds from the ECA to tackle environmental challenges confronting the Niger Delta. He said: â€œThere should be balance in the way the federal government handles issues affecting different parts of the country. As they tackle Boko Haram with $1billion, they must remember that the environmental challenges facing the Niger Delta is the major security challenge. Issues of development and security, Wike stressed, should not be politicised as political parties were mere vehicles that convey politicians to desired destinations. â€œThis country belongs to all of us. We must work to salvage Nigeria. We shall always talk about the interest of Nigeria,â€ he said, just as he commended the House Committee on Local Content for their role in ensuring that Shell did not leave Rivers State. 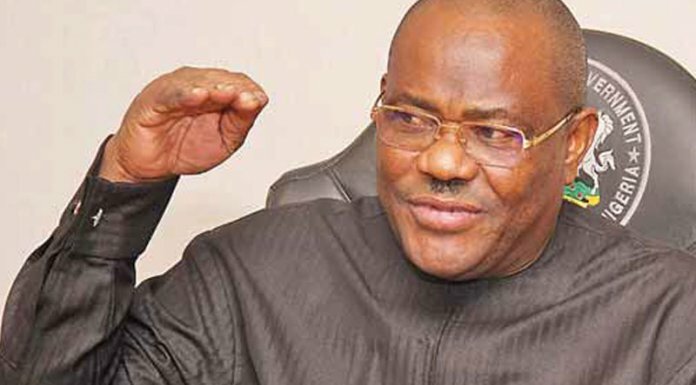 Chairman, House of Representatives Committee on Local Content, Emmanuel Ekon lauded Wike for quality leadership that has revived the PDP as main opposition party in Nigeria which, he noted, was heading for a one party state before the PDPâ€™s revival. â€œGovernor Wike by his contributions, provided an alternative for all politicians, even those in the APC,â€ Ekon noted. Ekonâ€™s committee, in Rivers for a two-day retreat, stated that it has influenced creation of several jobs for Nigerians with several illegal expatriates deported. Meanwhile, Dickson as demanded that the 13 per cent derivation component of $1billion be deducted and sent to the various oil producing states to prevent subjecting them from making double contributions to the security funds. In a statement signed by the Commissioner for Information and Orientation, Mr. Daniel Iworiso-Markson, yesterday, Dickson posited that the implication of the withdrawal inclusive of the 13 per cent, was that the oil producing states would be making double contributions to the security funds. He stressed that the oil producing states would be contributing not only their statutory allocations like other states, but also their 13 per cent derivation fund constitutionally designed to address special circumstances including security, occasioned by the hazards of oil production. The governor stated further that he had discussed the issue with both the Vice President who is Chairman of the National Economic Council (NEC) and the Chairman of the Nigerian Governorsâ€™ Forum (NGF). Dickson noted that while Bayelsa was not against the withdrawal of the funds to enhance national security, the utilisation of the funds should benefit the entire security agency and service and cover every part of the country. The governor said: â€œOur position generally has been that leaders should collaborate on issues of national security and the economy. On these matters, there should be no partisanship or showmanship because these issues touch on the core of our nation and the individual wellbeing of everybody. â€œSecondly, as it has been done before, Bayelsa has no opposition to the withdrawal of money for national security expenditure targeted at improving the capacity of our military and security agencies to protect the territorial integrity of the country and all Nigerians. â€œOur position is that the 13 per cent derivation element be deducted and sent to the states. Not do do so means that the oil producing states would be contributing from both ends: we will be contributing our statutory allocations like every other state, and then the 13 per cent derivation which is meant to address special circumstances as oil producing states, including security challenges. The Bayelsa governor further demanded that a committee of the NGF be set up to interface with the Chairman of the NEC and leadership of the national security agencies to receive briefings on the details of items to be procured. According to him, it is necessary for the committee to be briefed on the modalities of procurement to allay concerns already expressed by a cross segment of the populace. Dickson said that Bayelsa like other states, would be interested in knowing what component of these security procurements would directly benefit the security architecture in Bayelsa.